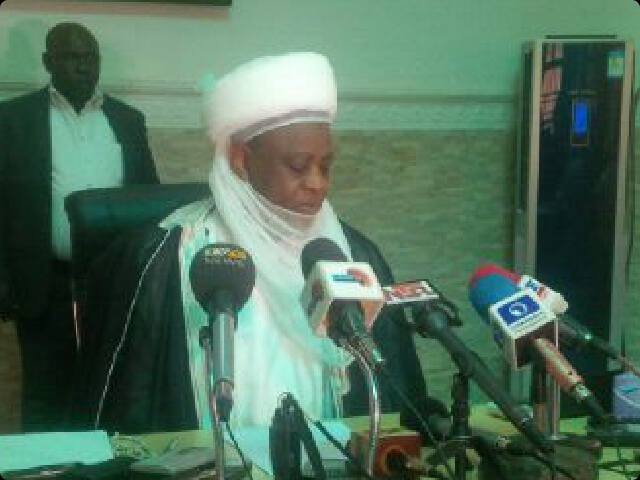 Sultan of Sokoto and President-General of Supreme Council for Islamic Affairs, His Eminence, Alhaji Sa’ad Abubakar III, yesterday inaugurated an Interfaith Centre for documentation, peace and reconciliation, aimed at maintaining peace and stability in the country. Sultan added that the centre was launched for the purpose of documentary for emancipation of the country. “The center is just in addition to related initiative that we have in the country. It is for peace and stability of the country. Nobody from outside the country can force peace on us hence the need for us to work closely to achieve peace because no peace, no stability, no stability; no development and progress. “I want to call on our brothers to work with us to achieve results. Peace organization cannot be too much,” he added. Addressing newsmen shortly after the inauguration, General Secretary, Christian Council of Nigeria, who is also the Executive Secretary of the newly inaugurated board, Reverend (Dr.) Ibrahim Wushishi Yusuf, said both Christian and Muslim consultants were hired to do the needs assessment and get views from stakeholders on how the centre would be run. He said, the centre shall be a documentation centre for peace and reconciliation, which will address issues of trauma, conflict and peace building among many other related sundry matters. Members of Centre’s National Governing Board include Professor D O S Noibi, Rev. Dr. Ibrahim Wushishi, Dr. Khalid Abubakar, Cardinal John Onaiyekan, Dr. Atiku Balarabe Zawiya. Others are Mrs. Uzoaku Julianah Williams, Rev. Timothy Yahaya and Hajia Aishat Ahmed Hassan.